We collect tithes and offerings at church on Offering Sunday (usually the first Sunday of the month), because giving is an essential part of our worship and discipleship. For those who would like to automate their giving, you are welcome to set up a recurring bill payment through your bank and send a weekly or monthly check to the church office. Almost all banks offer this service free of charge with no fees or commission taken out of your giving. If you choose this option, we ask that you continue to participate in coming forward on Offering Sunday. You are welcome to bring a blank envelope and drop it in symbolically, or to put in a $1 bill if you feel disingenuous dropping an empty envelope in the basket. However you may choose to do it, we recommend participating in this practice because the rhythm of coming forward and praying over your gift is a part of our shared worship. Highrock Church in Brookline has a non-profit account at TD Ameritrade for those would prefer to donate stocks to the church directly. 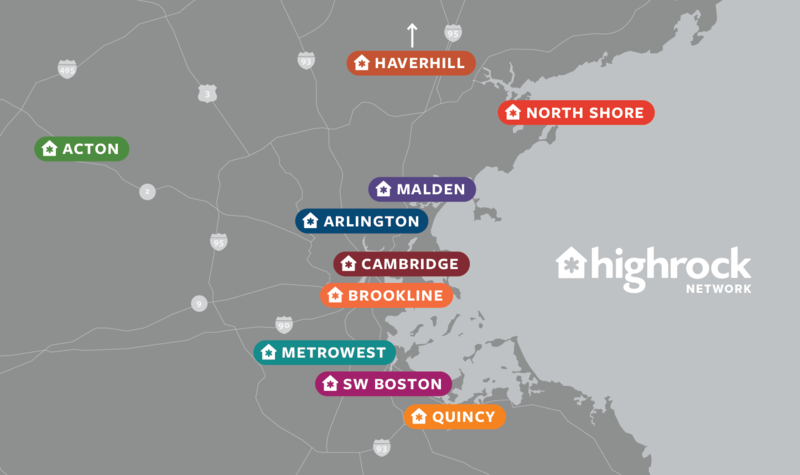 Email hrbfinance@highrockbrookline.org to get the necessary information. When you shop with Amazon Smile, a percentage of your spending will be donated to the charitable organization of your choice. So if you like to shop on Amazon, consider signing up for Amazon Smile (it's free!) and designating 'Highrock Covenant Church of Brookline MA' as the recipient of your donation. Once you do this, each time you go to Amazon you will immediately be directed to Amazon Smile and the church will receive a small percentage of your spending! The story, vision, and values of the Highrock Brookine community. We're Evangelical, but not exclusive. Biblical, but not doctrinaire. Traditional, but not rigid. Congregational, but not independent. Stay connected with what's happening in our community!